(Bloomberg) -- Congressional negotiators working on a bipartisan border-security plan expect to talk into the weekend, aiming to complete a deal by Monday to avert another government shutdown. Another Republican on the negotiating panel, Representative Chuck Fleischmann of Tennessee, said the GOP wants as much barrier funding as possible, and he hopes that the final amount is above $2 billion. That's far lower than the $5.7 billion that President Donald Trump had been demanding. House Appropriations Committee spokesman Evan Hollander said in a statement that Democrats want the figure to be less than $2 billion. "I think there's next to no appetite in the room on either side in either body, and that's a good thing. We didn't want the government shut down the first time," he said in a Bloomberg Television interview. Democrats and Republicans were continuing to exchange proposals on Friday. Texas Republican Representative Kay Granger said there still were "issues to be worked out." The assessments came the day after the top Democrat and Republican on the conference committee negotiating a deal said they're nearing an accord but the process may go into the weekend. Lawmakers have a week left to pass a spending bill to avert another government shutdown. Current government funding runs out Feb. 15. Senate Appropriations Committee Chairman Richard Shelby went to the White House Thursday to discuss border security with President Donald Trump. He said he believes a deal can be reached by Monday. House Appropriations Chairwoman Nita Lowey, a New York Democrat, said both sides are acting in "good faith." 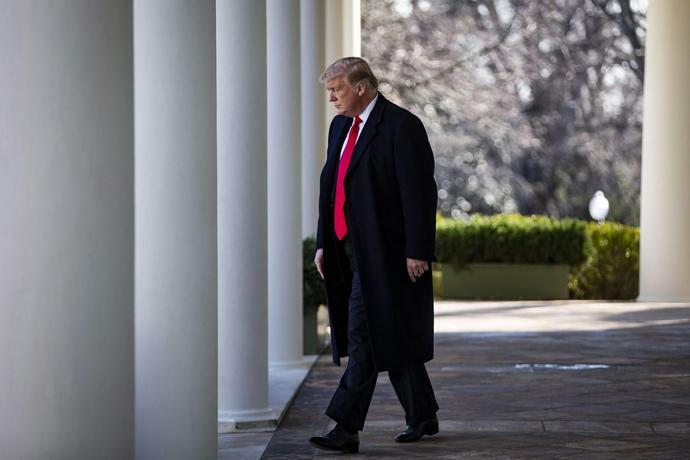 The biggest question mark remains Trump, who has continued to demand money for a wall on the U.S.-Mexico border, a proposal rejected by Democrats. If Trump doesn't agree to a deal reached by bipartisan negotiators, some GOP senators say they are unlikely to go along with it, although Majority Leader Mitch McConnell hasn't ruled out bringing it to a vote. As the negotiations were going on, Trump's campaign sent out a solicitation email to supporters asking them to vote on whether the president should declare a national emergency to build the border wall. Acting White House Chief of Staff Mick Mulvaney has invited several of the House and Senate negotiators to meet at Camp David over the weekend, according to Fleischmann, who added that he expects to discuss the border talks. --With assistance from Terrence Dopp.